Technology Sales Leads Provider, Good Leads®, to attend Enterprise Connect 2017 held in Orlando, FL March 27-30, 2017. Enterprise Connect 2017 is the world’s leading conference & expo on communications and systems collaboration migration for business and technology executives and professionals. Technology Sales Leads Provider, Good Leads®, will be attending the Enterprise Connect 2017 Conference. Good Leads®, a provider of outsourced business development and B2B lead generation services, will be attendingthe event in Orlando, FL March 27-30, 2017. Enterprise Connect 2017 Conference is the world’s leading conference & exposition providing comprehensive communications and systems collaboration migration strategies with in depth sessions covering Unified Communications, Mobility, SIP Trunking, Cloud, Video, Collaboration and WebRTC. The event is home to the world’s largest discussion and exposition of Unified Communication technology products and services. Many vendors choose to announce their latest products for the first time at the Enterprise Connect Conference. “Having supported over 400 tech centric firms, we are attending in support of our customers and look forward to seeking new business opportunities of firms looking for phone based outreach services,” said Bob Good, CEO of Good Leads. Good Leads is a leading provider of outsourced business development services including closing sales, qualified lead generation and qualified voice-to-voice and face-to-face appointments. 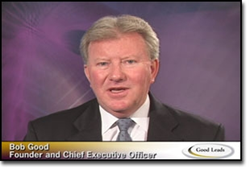 For almost 15 years in serving 400 firms, Good Leads has partnered with domestic and international institutions, from high-tech to governmental agencies, to develop and implement a business development strategy as part of their integrated marketing plan inclusive of trade missions and inward direct investment. Good Leads can be contacted at: http://www.GoodLeads.com 866-894-LEAD.